Welcome to our online store! We’re glad you’re here. 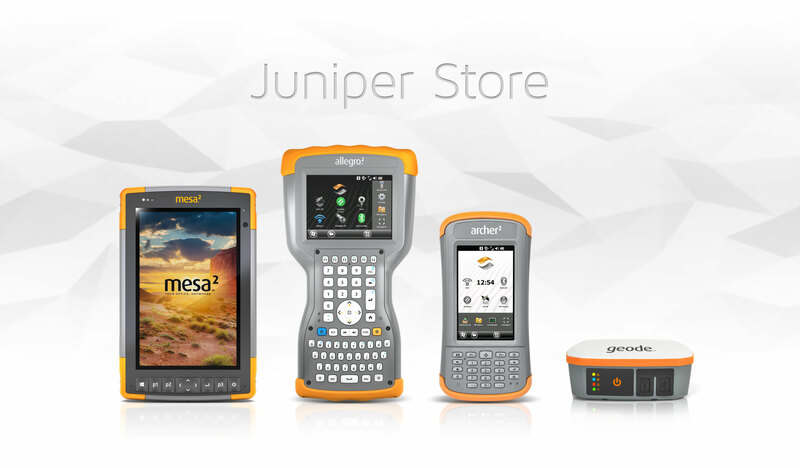 Within the store, users can purchase accessories and carrying options for our Juniper line of products, and our Cedar line of handhelds. Users can also request pricing on our current line of ultra-rugged products including: The Mesa 2 Rugged Tablet, Geode Sub-meter GPS Receiver, Archer 2, Allegro 2, and more. Click the button below to request product pricing. If you’re a business partner, please place all orders directly with your sales account manager. They can also answer any questions you may have about our available carrying/mounting options for our products. Interested in becoming a Juniper Systems business partner? Click here.